If you are writing novels, you may not need tables. 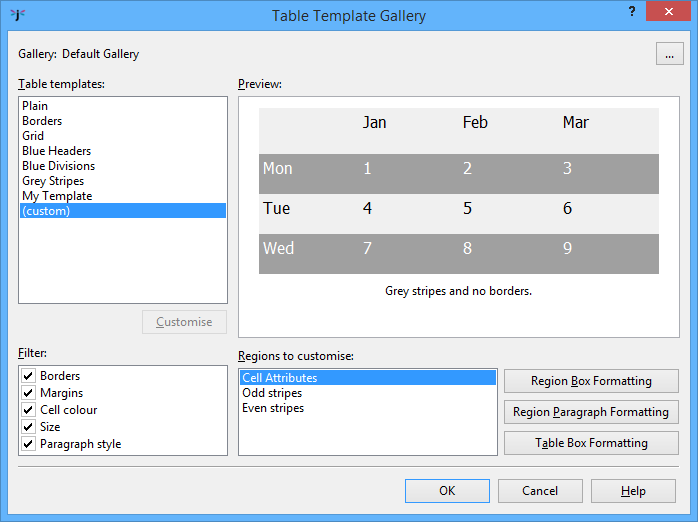 But if you do, you will appreciate the flexibility tables give you, including columns of fixed or expanding size, coloured cell backgrounds and borders, ability to span cells across multiple columns or rows, creation of tables from comma or tab-separated data, and ability to flow text to the left or right of a table. 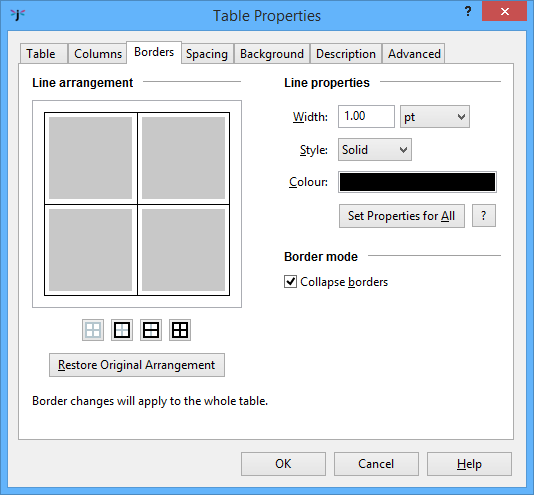 You can edit individual or a selected range of cell properties, or you can use the table properties dialog to edit overall properties. 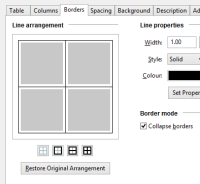 The screenshot shows the Borders tab where you can apply border colour, width and style to the borders you select. 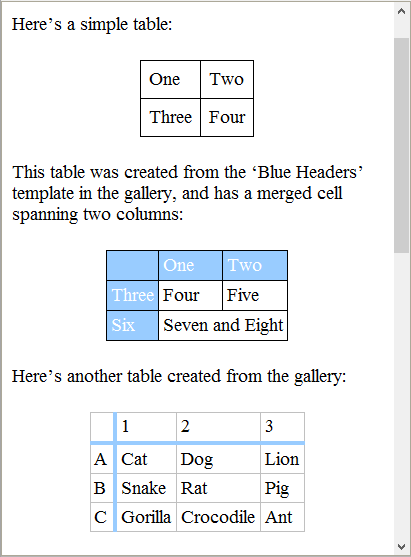 Jutoh deduces which cells should get what formatting for the whole table, but for more control, you can select certain cells before you invoke the table properties dialog, and formatting will be applied to this more specific block of cells. You can now click on Region Box Formatting to change colour, border, margins and more for a selected region, such as “Odd stripes”. 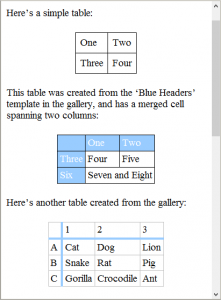 For more information about using tables, please type “tables” into the Jutoh toolbar, or see the Working with tables chapter in the Jutoh book.